Best Looks from the 2017 Emmy Awards! Issa's formal styling isnt always my favorite, but I love the red on her. Hair and makeup is on point, as always! I think Julianne is a timeless beauty. This dress was made for her! Out here lookin' like a BRICK HOUSE! Where has she been hiding? This gown looks great on her! Mom looks great here, per usual. Souls were not prepared for such a beautiful slay. At 92, your fave could never, EVA. Apple Red on pale skin is a beautiful combination and Nic did not come to play! How can so much swag come with a 15 year old? When you're styled by the greats like Darrick Leak and @GarconCouture, you cant go wrong! Lena made HERstory last night as the first black woman to win an Emmy for Comedic Writing. YAS QWEEN! She'll always be Princess Tiana to me. Who channeled her own inner Princess Tiana last night. I'll always show support to a dappered-down doll. Don't nothing look crazy about you sis! 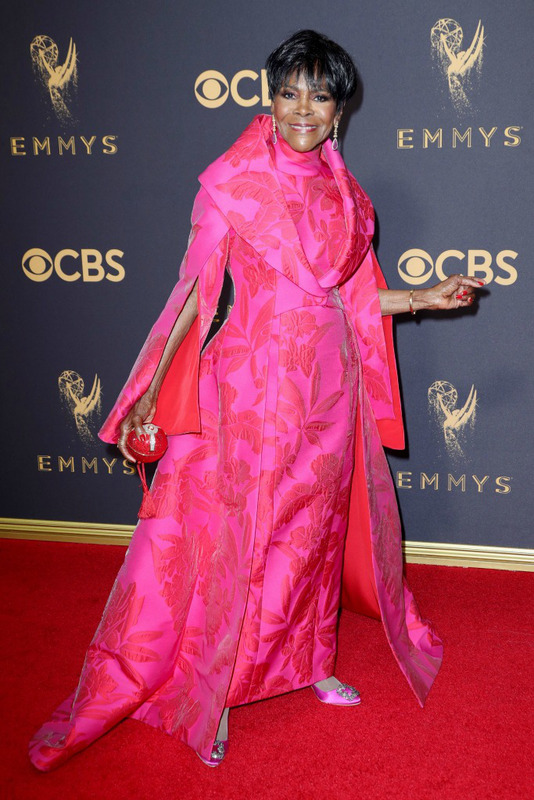 I think having Emmys in both hands can complete any outfit! These colors looked so beautiful on her with this natural beat and up-do. Life Goal: When you and bae can slay together as a unit. I'm just going to leave this here because whas understood doesnt need to be explained. I couldn't, but the colors of this dress are bomb. Imagine these look in the sun!? Do You See This Coat? !